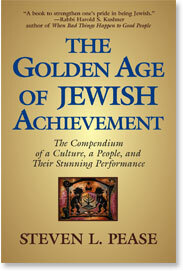 The Golden Age of Jewish Achievement explores two questions. Are Jews disproportionately high achievers? And if they are, why? The first is answered with 61 compelling exhibits, covering Nobel prizes to Rock 'n Roll Hall of Fame awards, Pulitzers to chess champions, philanthropy to Supreme Court justices and much more. None can study these facts and not be astonished by all that Jews have achieved and contributed over the last 200 years. The more intriguing question may be "Why has this happened?" Through fascinating stories, such as "Lev Leviev and the Soviet Jews" and "The Jazz Singer," The Golden Age illustrates the life and circumstances of hundreds of remarkable Jews before concluding with theriveting "Why?" Timely, the book raises notions advanced by Malcolm Gladwell's Outliers, and recent debates over "Jewish genes," as well as Charles Murray's 2007 Commentary article in which he argues for natural selection. The Golden Age makes the case for the glory of a culture. It explains how the evolution of Judaism, coupled with a tortured 2,000 year history, has shaped a unique combination of cultural values which have made Jews into the world's most successful tribe of Outliers. 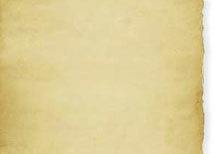 For example, Jews were history's first tribe to mandate literacy for all their people. In making its case, the book challenges natural selection, secondgeneration immigrant status, and other theories which have been advanced to explain the phenomenon. 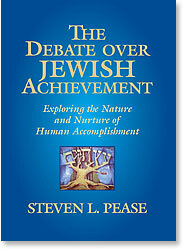 Yet it is the timeless stories and thought provoking analysis that make The Golden Age of Jewish Achievement a compelling and much discussed read for the ages. A turnaround CEO and venture capitalist, Steve Pease has traveled much of the world in heading up public and private companies and not-for-profits. 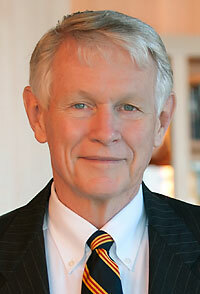 Washington, Steve is a Phi Beta Kappa graduate of the University of Washington with a master’s degree from Harvard Business School. He is also Co-chair of the U.S. Russia Foundation and Chair of The U.S. Russia Investment Fund, both non-profits originally organized by the United States government to work in Russia.